Time for another Night Ocean roundup: Hayden Bennett wrote a thoughtful and generous review of TNO in BOMB; Sharon Browning wrote a very nice review in LitStack; and Drew Rowsome gives TNO some love in My Gay Toronto. Also, I talked to Sam Hankin at The Avid Reader; to Brian Held at The Week in Geek, to Molly O’Brien at GoLocal Providence (video of the awkward author! ); and to Tom DiPietro at WGXC, my wonderful local radio station. Film people / NYC people: I'll be presenting Roger Corman’s 1963 film The Haunted Palace at the Film Society of Lincoln Center on Tuesday, April 11th, at 7pm. It’s a lurid, low-budget adaptation of a Lovecraft story, starring Vincent Prince and featuring Lon Chaney Jr. Please come if that sounds like your kind of thing. More information here. Cosmopolitan lists the book as one of the best reads of the spring. You’ll be shocked, shocked, to hear that there is more news about The Night Ocean. Writing for Tor.com, Matthew Keeley says, “La Farge may have written the first great novel of fandom.” Which is a lovely thing. 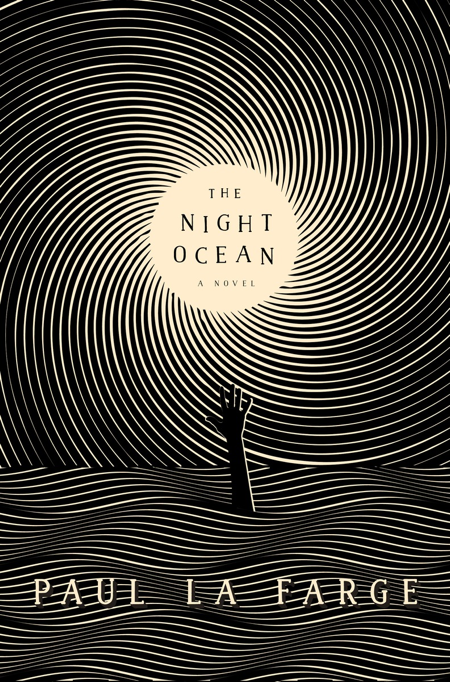 In Public Books, Aviva Briefel writes that The Night Ocean is “enthralling,” and that it “requires us to exercise our critical readership as we face the current political administration, which may be the most Lovecraftian of them all.” Maybe so. And yikes. Highbrow and brilliant—but close to despicable. In other words, just where it ought to be. In The Chicago Review of Books, Amy Brady writes that I have brought H.P. Lovecraft back from the dead. For better or worse, I guess. People of (W)NYC: I'm going to be on the Leonard Lopate Show today at 1:20pm, flogging my book THE NIGHT OCEAN, or having it flogged, or, in any case, something. Tune in, or listen online here. The Night Ocean is out today. And in this Sunday’s New York Times, D.T. Max reviews it. Here’s what he says: “A beauty of a tale...A book full of pleasures... The Night Ocean emerges as an inexhaustible shaggy monster, part literary parody, part case study of the slipperiness of narrative and the seduction of a good story.” Read the whole review here. The Night Ocean comes out tomorrow. Today, it’s one of the New York Post’s must-read books of the week, and one of Newsweek’s best books of the week. (Which raises the question of how many books a person can read in a week, but never mind.) BookPage also has some nice things to say. 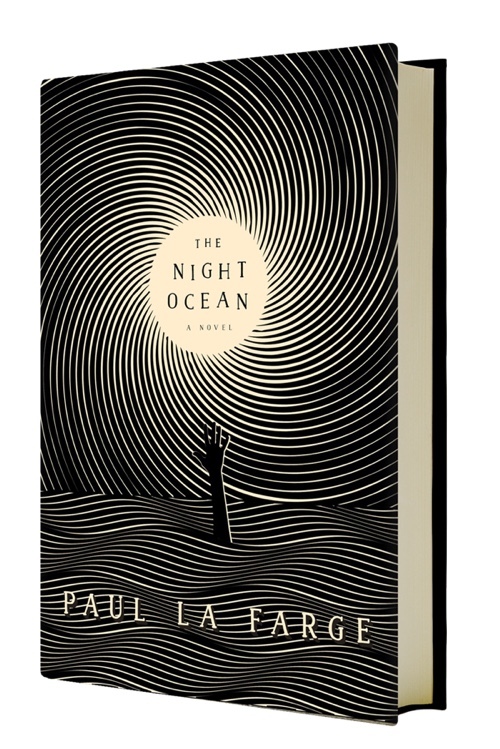 Now for a flurry of good news: The Night Ocean was named one of the best books of March, 2017 by Amazon, the BBC, Vulture, and The Chicago Review of Books. Also, The Washington Post likes it. And so does Chronogram. The H.P. Lovecraft Historical Society has good things to say about The Night Ocean, and they should know what they’re talking about. From the department of being in good company (how many departments are there in this place, anyway? ): The Night Ocean is one of The Week’s 28 Books to read in 2017, along with works by George Saunders, Elif Batuman, Ottessa Moshfegh, Joan Didion, and others. I’m very happy to have an interview with China Miéville in this month’s issue of BOMB. I’ve been a fan of Miéville’s novels for years, and, in case it wasn’t clear already from his work—but it was!—he’s very smart. Topics discussed: “blood smoke,” Surrealism, tie-in novels, Cthulhu, Dungeons & Dragons, trauma. And more. People of Earth! I am very excited to be talking about The Night Ocean with Lev Grossman (author of Codex, Warp, and the amazing Magicians trilogy) at the New York Public Library's Cullman Center, on Thursday, March 9, 2017. The event is at 7pm, and it's free but ticketed. More information is available here. At the behest of the kind people who run the Picador Guest Professorship for Literature, in Germany, where I’ve been teaching this fall, I wrote a story for Twitter. It’s called Hum, and it was tweeted from the @picadorprof account on December 21 and 22. I am reposting it here for those of you who missed the story entirely, or who caught a glimpse of it as it scrolled by, and want to read the whole thing. In other Night Ocean news, Maclean’s, the Canadian newsweekly, lists my novel as a “big read for 2017,” along with books by George R.R. Martin, George Saunders, and Haruki Murakami. I would like to think that the magazine was not swayed by TNO’s Canadian setting, but you never know. The Night Ocean has received its first reviews, from Kirkus and Publisher’s Weekly. They are very nice reviews, with stars, and whatnot. The PW review was written by the Lovecraft scholar and author Peter Cannon, which makes it all the more encouraging. Take a look. My novel The Night Ocean, about H.P. Lovecraft, Robert H. Barlow, and their various strange worlds, will be published by Penguin Press in March, 2017. It’s available for pre-order now from Amazon, Barnes & Noble, and IndieBound. Hey, people who live in or might be on their way to the Hudson Valley: I'm going to tell a story about H.P. Lovecraft and growing up on the Upper West Side at the Porch, a storytelling event in Bard College's Spiegeltent, on Friday, June 24, at 8pm. With Jane Brien, Jeremy Davidson, Mary-Kay Lombino, Mick Lynch, Jim O'Grady, Brent Sverdloff & Geoff Tarson. Want to come listen? From the department of overnight stays: this past Sunday, I was the artist-in-residence at the Ace Hotel in NYC. The deal being that you stay at the hotel for a night and make something: in my case, a story about how the hotel got its name. You can read the story here. If only they had let me stay for a week! I would have written a book. From the department of slow thinking: I just put together that the Erik Bauersfeld who narrated the audiobook of my novel Haussmann, or the Distinction was the same Erik Bauersfeld who voiced Admiral Ackbar ("It's a trap") in Return of the Jedi. He died today, at 93. He was an amazing person to work with: when he was recording Haussmann, he'd call me every day to check pronunciations, inflections, voices. I could have listened to him for hours, and did. I'm sad that he's gone -- and that I didn't think to ask him about Ackbar! From the department of distant early warnings: I turned in a draft of my novel The Night Ocean, about an incident in the life of horror writer H.P. Lovecraft, today. So the book will likely come out next spring from The Penguin Press, where I am working with the remarkable editor Ed Park. Be warned. I’m very excited to have an essay in Nonstop Metropolis, Rebecca Solnit and Joshua Jelly-Schapiro’s atlas of New York City. You can see the cover here. 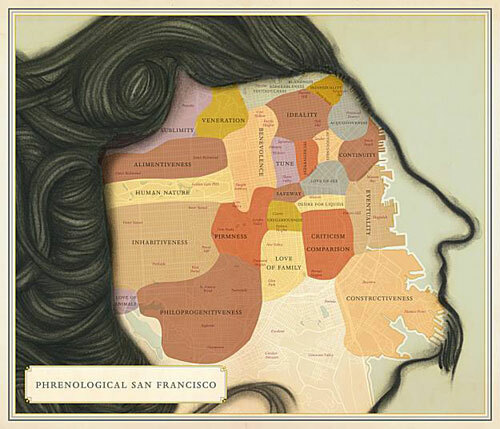 I wrote an essay about digital reading for Nautilus. It’s something I think about now and then, having spent a few years on a work of digital writing. I’m very happy to be reading with fellow Conjunctions contributors Edie Meidav and Andrew Durbin, to support the nonprofit organization Behind the Book, which promotes children's literacy in underprivileged NYC public schools. Thursday, November 12, at 7pm, at the KGB Bar. More information here. 42 Minutes is Douglas Bolles and William Morgan's podcast about life, the universe, and things like that. This week they talked to me about Dungeons & Dragons and my 2006 Believer story “Destroy All Monsters.” Explore the cellars of my pre-teen heart here. Given how much I have thought about caves (for one gloomy part of Luminous Airplanes), I’m happy to be taking part in this year’s Subterranean Poetry Festival, on September 20, at the Widow Jane Mine Cave in Rosendale, NY. I’ll be reading (or performing?) with Sparrow, Hélène Lesterlin, Jonas Bers, Sam Truitt, hARBOUR with Jack Walls, Ada Smailbegovic, and the event’s inimitable organizer, Bethany Ides. The cave is at 668 Route 213, in Rosendale. 1-4pm. $5. More information here. On Saturday, April 18, at 2pm, I’ll be reading with Greg Hrbek, Michael Ives, and Christina Mengert at the Mid-Hudson Heritage Center in Poughkeepsie, NY, to celebrate the literary journal Conjunctions. More information here. And on Friday, April 24, I’ll be judging a literary deathmatch — having won one, I’m supposedly now qualified to do so — at The Mount, Edith Wharton’s place in Lenox, MA. 8pm; more information here. For several years now, I’ve been working on a novel called The Night Ocean, which is about a mysterious incident in the life of horror writer H.P. Lovecraft, and the shadow it casts on the people who have investigated it, in the eighty or so years since Lovecraft’s death. I am very happy to announce that this book will eventually be published, thanks to the amazing editor (and writer!) Ed Park, at The Penguin Press. All I have to do is finish the book. I have another story in The New Yorker. Actually, it’s the sequel to the story I had there three years ago. It’s called “Rosendale,” and you can read it here. I’ll be talking with French writer Laurent Binet about his infra-novel HHhH at McNally Jackson Books, 52 Prince Street, New York, NY, on Saturday, November 16 at 7pm. What is an infra-novel, you wonder? Sure, you do. Come on by. It’s the day before my birthday, and if you’re nice, maybe we can go out for a drink afterwards. I’m not normally in favor of fights to the death, but this one might be fun: a literary deathmatch, with Maris Kreizman, Iris Smyles, Jason Koo and myself as the brave gladiators. This Wednesday, October 9th, at Union Hall, 702 Union Street, Brooklyn NY. 8pm. $12. I’ll be the guy with the net and the trident. I have a slightly NSFW story, “Scenes Not Included in Henry James’ The Ambassadors,” in The Paris Review’s blog. Prior knowledge of The Ambassadors is not required, or even, on some level, recommended. Futuro-retrists, take note! On Monday, March 25, I’ll be reading in an evening of digital multimedia work at The Kitchen, 512 West 19th St., NYC, with Mark Amerika, Ian Hatcher, Yael Kanarek and Illya Szilak. 7pm, free. Details here. If you happen to be in San Francisco on Wednesday, January 16th, please come to a spectacular reading at the Adobe Bookshop, 3166 16th Street, in the Mission: Stephen Elliott, Rebecca Solnit and Michelle Tea will celebrate the long existence of one of San Francisco’s best-loved bookstores, its proprietor, Andrew McKinley, and its possible transformation into a collective art space. More information is available here. The reading is at 7pm. Admission is free but you’ll want to come early: it’s going to be packed. The Luminous Airplanes site has been revised. The story begins in a different place (although the old beginning is easy to find), and there is — finally! — a working map. This is just in time for its appearance on Very Short List. And this for the Albanians: on Thursday, September 27th, I will be reading at the New York State Writers’ Institute at SUNY Albany. 8pm at the University of Albany Campus Center Assembly Hall. Free. My future-scanning device tells me that in far-off September I will be reading with Lynne Tillman and the art duo LoVid at the season opener of First Person Plural’s reading series. Monday, September 10th at 7pm, at the Shrine World Music Venue, 2271 Adam Clayton Powell Blvd. We all have theme songs. Come and find out what they are. I have a story in this week’s New Yorker: it’s called “Another Life,” and you can read it here. There is also an online Q&A with Lee Ellis, who edited the story, and asked some very good questions about it. This from the Dept. of Criticism: my review of Sergio de la Pava’s 700-page self-published novel A Naked Singularity (now republished by the U of Chicago Press) is online at the Barnes & Noble Review. Or honestly just skip the review and read the book, which is much better than the phrase 700-page self-published novel would make you think. I’m going to be reading on Thursday, May 17th, as part of Albert Mobilio’s Double Take event: the idea being that two writers have an experience together and then write about it. Emily Barton and I have done something together — I won’t tell you what it is, but it’s very exciting. Darcey Steinke and Shelley Jackson have done something. Joshua Cohen and Justin Taylor have also done something. Come hear us all at Apex Art, 291 Church Street, New York, NY, at 7pm. More info here. Hey, I am on the CBC this week, talking about what happened to hypertext fiction, and making incoherent generalizations about literature. Does appearing on Canadian radio increase my chances of getting Canadian citizenship, if something goes wrong down here? This goes out to everyone in the Los Angeles listening area: I’ll be on Michael Silverblatt’s Bookworm radio program at 2:30 today. KCRW, 89.9 FM. Or listen at kcrw.com. 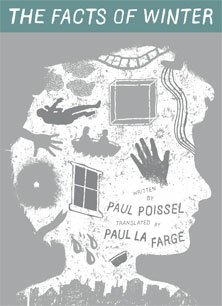 This just in from the office of Please Don’t Make Paul La Farge Read To Yet Another Empty Room: I will be reading on Sunday, December 18th at KGB (85 East 4th St., NYC), at 7pm. And on Monday the 18th I’ll read in the Fiction Addiction series: 25 Avenue A, NYC, at 8pm. Prizes will be given to anyone who attends both. Valuable prizes! One morning in October, Peter Orner and I got together for breakfast in San Francisco. We talked about obsession, local politics, people kissing, and the fact that neither of us ever finished Tristram Shandy. The result of our conversation is in BOMB, on newsstands (newsstands?) December 15, or (partially) online here. 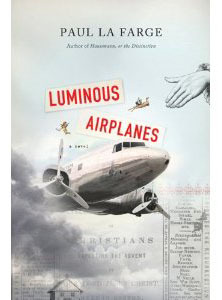 According to Flavorwire, Luminous Airplanes is one of the most “criminally overlooked books of 2011”—maybe even the most criminally overlooked book of the year. How nice it is to imagine a world where overlooking a book was a crime! We’d have to build prisons from one coast clear to the other, just to hold all the people convicted of it. Another item for mid-Hudson residents: Nina Shengold has written a profile of me in the December Chronogram. Despite what you might think from the photograph, I am not actively engaged in making bombs or waging any kind of campaign against civilization. Or, hm, at least I’m not making bombs. If you’re in the mid-Hudson Valley this week, maybe you’d like to come hear me read at Vassar? I'll be there on Wednesday 11/16 at 5:30 p.m.. Building and room info TBA. Commuters, take note: a review in the Economist’s blog describes Luminous Airplanes as a “high-concept novel worth reading.” And “its central concern—the mystery and possibility of unexpected encounters—is just right for commuters,” notes the reviewer, which is something I hadn’t thought of. Read the full review here. The department of not-quite-shameless self-promotion has been off making props for Occupy Wall Street, but it returns just in time to announce two events: on Wednesday, October 19, I’ll be speaking with the novelist and editor and nearly omniscient person Ed Park, about Luminous Airplanes, hypertext, World War I naval simulation games, and other topics of general interest. McNally Jackson Books, 52 Prince Street, NYC, 7pm. Then on Saturday, October 22, I’ll be reading at Oblong Books, 6422 Montgomery St. in Rhinebeck NY, at 7:30 p.m. Upstate NY residents take note! Looking into the hazy distance of next week, I will be reading at Book Passage, 51 Tamal Vista Blvd, Corte Madera CA, on Wednesday, October 26th at 7pm. On Thursday, October 27 at 7pm, I’ll be at City Lights Books, 261 Columbus Avenue at Broadway, in San Francisco, CA. And on the 28th at 7:30pm, I’ll be at Skylight Books, 1818 N. Vermont Avenue, Los Angeles, CA 90027. Also, two upcoming events: I will be reading with Gary Shteyngart at the Hudson Opera House on Sunday, October 9, at 6pm, as part of Columbia County’s ArtsWalk. I’m also going to be talking with the amazing Ed Park at McNally Jackson Books, 52 Prince Street, NYC, on Wednesday, October 19th at 7pm. The New York Times is running a positive review of Luminous Airplanes in this week’s Sunday Book Review. Author breathes sigh of relief. Luminous Airplanes is officially published today. I started thinking about this book in the winter of 2000, started writing it in the fall of 2003, finished editing it in late June 2011. I hope you will like it. Also, I have an article in Salon about the future (and the past) of hypertext fiction: here. Also also: for those of you who were not at the Center for Fiction event, the New York Observer has some good things to say about it (and some photos). 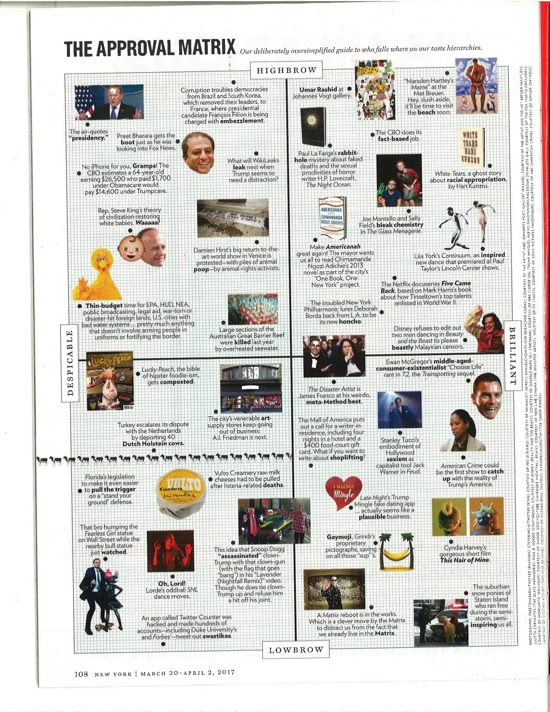 Also, the October 4th book launch at the Center for Fiction is the #1 critics’ pick for book events in Time Out New York this week. It should be quite something. Please come. There’s a long and very cogent write-up of Luminous Airplanes in the New York Observer this week. “The website is not just a dump for B-roll footage,” writes John Williams. “it’s a project all its own, distinct from the bound pages.” Indeed. A couple of Luminous-Airplane-related items: first, a nice interview in Time Out Chicago, which begins, “Paul La Farge might be the greatest American writer you haven’t read, but now there’s no excuse.” Read the whole piece here. And some upcoming events: on Tuesday, September 20th, I’ll be reading with Amitav Ghosh at the Russian Samovar, 256 W. 52nd Street, New York, NY 10019, at 7pm, as part of the FSG Reading Series. The reading is free, but the space is not enormous—come early! And then stay afterwards and drink vodka, why not. On Tuesday, October 4th at 7pm, there will be a mysterious event at the Center for Fiction, 17 E. 47th Street, New York, NY. Details to be disclosed shortly. Then on Wednesday, October 5th, I’ll be reading in the Happy Endings series at Joe’s Pub, with Seth Fried, Jesse Ball, and musical guest Anni Rossi. 425 Lafayette Street, NYC, NY, at 7pm. The reading is $15, and you might want to buy your ticket in advance. Luminous Airplanes got another starred review, this one from Kirkus Reviews, which calls the book “An open-ended, postmodern fable that somehow delivers the satisfaction of the novelistic conventions it subverts. [...] Where so much experimental fiction seems pessimistic or even cynical about its possibilities, this novel sustains a spirit of innocence and wonder.” Thanks! The review will appear in the print edition of Kirkus on September 1. And I can’t help observing that both this review and the one in PW quote lines from the book which I wrote after I turned in the final draft of Luminous Airplanes, a fact which will, I hope, encourage anyone who wants to keep tinkering with their novel. Nice, yes? Apparently the gray will be silver (or silvery) on the actual book. But then so, I am apparently the pick of the week on the Publishers Weekly web site. Thanks again, PW people! Here’s the first of many upcoming reading announcements: I will be reading in a special Hudson Valley edition of Happy Endings. Co-readers: the amazing Mary Caponegro and Rebecca Wolff. Musical guest: the equally-although-in-a-different-way amazing Cynthia Hopkins. Damn! I would go, if I weren’t already going. Saturday, August 20, at 8:30 pm, in the Spiegeltent on the Bard College campus. Luminous Airplanes got a starred and boxed—and very nice—review in Publishers Weekly. (I had copied the review & pasted it on this page, then I realized it would be more elegant to link to it: here.) Thanks, PW! I’m very happy to announce that my novel Luminous Airplanes will be published by FSG in October. The novel is one part of a project which I’ve been working on since the end of the twentieth century: the other part is an online “immersive text,” a branching fiction about which I will soon have lots to say. By a happy coincidence, McSweeney’s Books is publishing a paperback edition of The Facts of Winter, with all-new illustrations, in September! I should probably have announced all of this sooner. But I was so busy working on Luminous Airplanes that I neglected my self-publicizing duties. No more. Expect many Luminous-Airplanes-related anmouncements in the weeks to come. Are you by any chance in Cincinnati? Come here me lecture on The Novel and the City, as part of the University of Cincinnati's Ropes Lecture series. Tuesday, February 22, at 7 p.m. in Room 427 of the Engineering Research Center (the Michael Graves building). Thank you, Michael Griffith, for inviting me! This, er, not just in: I have a review of Kevin Brockmeier’s The Illumination in the Feb/Mar issue of Bookforum (alas, not available online). In the same issue: Rivka Galchen vibrating at the upper end of the smart spectrum on Lydia Davis’s Bovary translation, and a great essay on Jonathan Coe by Ed Park, among other things. Check it out, if you can find a copy. Between 1996 and 2001, the Paraffin Press published nineteen books, seventeen of them by me. Each had an edition of two copies: one for me, and one for the person for whom I’d written the story. For years they have been languishing in my attic, so I thought I’d put some of them online here. Also, I have news. The short story “The Count of Monte Cristo’s Daughter,” which I wrote longhand last spring in the Kingston Public Library, in the company of the surpassingly great novelist Emily Barton, will be published in the fall issue of Conjunctions (#55). It, the story, has to do with Rosicrucians, and contains adult themes and language. Also: Conjunctions has organized a reading from the issue, on December 3, 2010 at 7pm, at Book Court, 163 Court Street in Brooklyn. I’ll be reading with the excellent writers Karen Russell, Stephen O’Connor and John Madera. Brian Evenson will emcee. So, as an author who once worked as a Web designer, I thought it was time I made a Web site. Actually, I thought of doing this months ago, and spent a long time experimenting with various unworkably complicated designs before settling on this one, which was more or less the simplest one I could throw together, this afternoon, in bed, while fighting some strange interminable cold-like sickness. I hope you’ll find it useful, or entertaining, or possibly both.